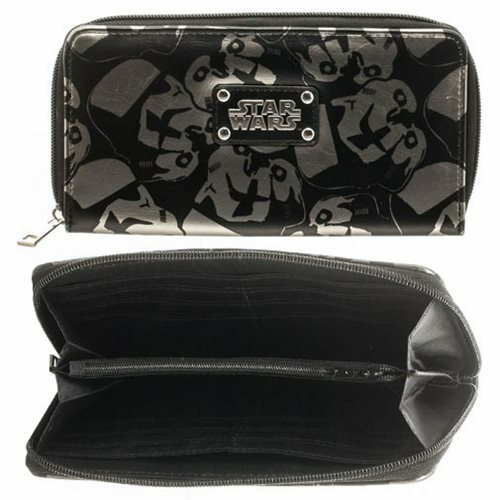 An entire platoon of Stormtroopers is at your beck and call on this stylish Star Wars Stormtrooper Black Large Zip-Around Wallet featuring their intimidating visages. Inside you'll find four open and one zippered compartments! Measures approximately 8-inches wide by 4-inches tall. Ages 14 and up.